Mark out positions for the base plates on the concrete slab (see table for minimum span requirements for various width joists) These are all based upon “continuous span” with joists at 450mm between centers. Either use a “straight edge” or run a string line from one of the notches in the outer base plates and flick the line for the positions of the internal base plates. 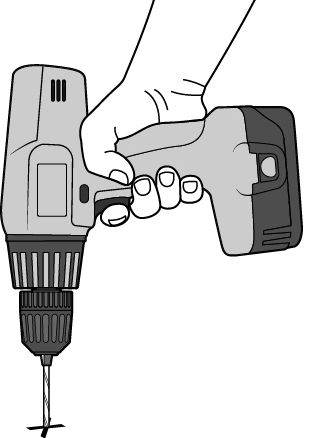 Drill holes for base plates (or for joist supports if securing them directly to concrete) using 12mm or 10mm masonry bit. Insert 10mm hex-bolt through base plate. 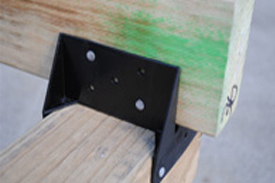 Note: The KlevaKlip Adjustable Joist Support system is designed to provide a "top of the joist" height from 80mm (using 60mm length bolts + 70mm x 45mm joists) to 170mm (using 120mm length bolts + 90mm x 45mm joists). Fix base plate to concrete using 12mm DynaBolts or 10mm masonry bolts. Repeat steps 1 - 4 for all base-plates to be installed. Tip No. 1 Before fully tightening DynaBolts, either use a straight edge or run a string line along the edge of the base-plate vertical bolts to ensure they line up correctly. Adjust base-plate in the slot if required. 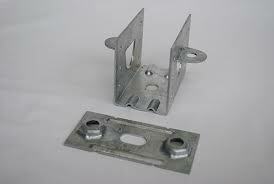 Insert joist into joist support and secure with minimum 2 of 25mmx 3.2mm connector nails on each side of the joist support. 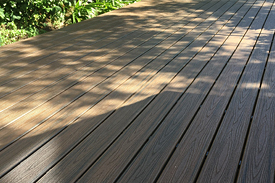 We quite often find that people have miscalculated the number of adjustable joist support required for their decking area. We believe the main cause of this is that people work out the length of their joists, and simply divide by the "support spacings" (taken from our span table) they have decided on between the supports - eg - having a 3 metre length joist with spacings of 1 metre to give 3 supports. The KlevaKlip Adjustable Joist Supports system has been independently tested to support a load bearing capacity of 350 kg per square metre or 60 PSF when used at the recommended joist spans listed below. 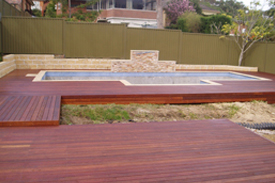 KlevaKlip Joist Supports and Base Plates have been hot dip galvanised in accordance with Australian Standards AS/NZS 4680:2006 (ISO 1461) or International Standards ISO 1461:2009 and USA Standards ASTM A123. 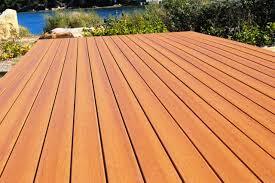 All joists should be pressure treated for continuous outdoor use.